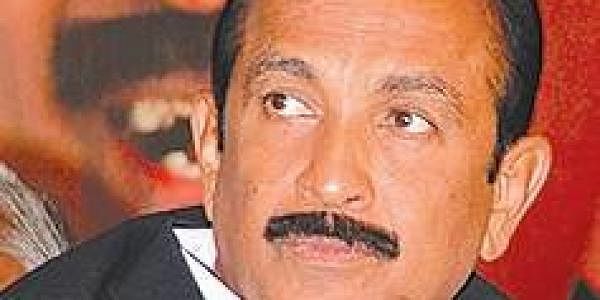 Vaiko reached Malaysia to attend a wedding reception in P Ramaswamy's family, deputy CM of Penang state, but when he reached Kuala Lampur he was denied entry stating that he is on the restricted list. CHENNAI: MDMK general secretary Vaiko, a vociferous Tamil rights campaigner who just got released on bail in a 2009 seditious speech Case, was denied entry into Malaysia this morning, charging him of being a member of rebel LTTE and thus a 'dangerous' person to their country. "You are being restricted from entering Malaysia because you belong to LTTE in Sri Lanka," the officials reportedly told him. He will be sent back to India by tonight, party sources said. There to attend the wedding reception in the family of P Ramaswamy, the deputy chief minister of Penang state tomorrow evening, Vaiko had reached Malaysia at around 6.30 am on Friday. He was accompanied by his secretary, Arunagiri. The Malaysian Embassy in Chennai had cleared his visa last week. But when he reached Kuala Lumpur airport, immigration officials denied entry stating that he is on the restricted list. He was asked if there were any cases pending against him in Lanka which he denied, and showed his passport. But officials refused to accept it, informing that his name figured in the list of persons who are dangerous to the South Eastern Asian country - which has a sizeable Tamil population. Now, arrangements are being made to send him back to India by the 10.45 pm flight.